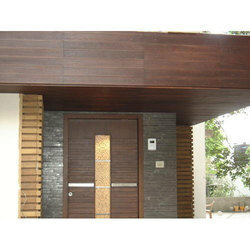 We are offering a wide range of Wooden Wall Paneling. 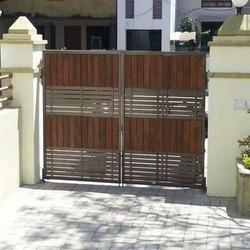 Being a customer oriented organization, we are highly engaged in providing a wide range of Wooden Wall Panel. The wooden wall panels available with us are available in various striking and traditional designs. These panels are available in various sizes and thickness as required by the clients. We bring in use only seasoned wood for making these wall panels. The usage of latest carving and finishing techniques have helped us to put forth a eye catching collection of wall panels. Our company is widely appreciated in offering Wooden Wall Panel. Backed by the continuous efforts of our dedicated professionals, we are highly engaged in manufacturing an exclusive range of Wooden Decorative Wall Panel. We offer a wide range of designer wall hanging, which can be hung on the wall to increase the beauty of the walls. The wall hanging is embedded with a mirror in between so as to use as a wall hanging as well as mirror too. These designer glass wall hangings are available in variety of designs, styles and patterns. We also provide customization for our esteemed clients. We are offering Wooden Wall Panels.